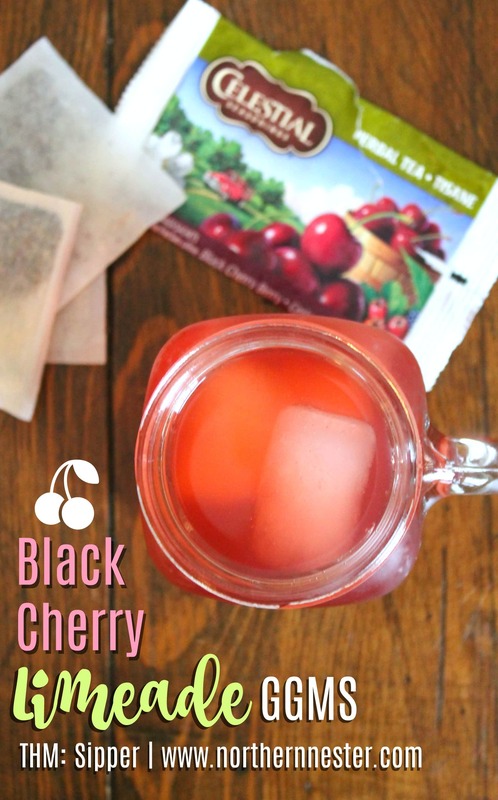 This Black Cherry Limeade GGMS is your healthy alternative! Our whole family loves the flavor of this one (even our little kiddies! ), so this recipe makes an entire pitcher full. My inspiration for this Sipper (the Trim Healthy Mama term for a drink you can enjoy all day, even in between meals, without crossing fuels) came after I read a comment in the main Trim Healthy Mama Facebook group from someone who real enjoy their Cerise Limón LaCroix! “Cerise Limón” means “Cherry Lime,” and if you’ve never had those flavors together, it’s time to change that, girl! 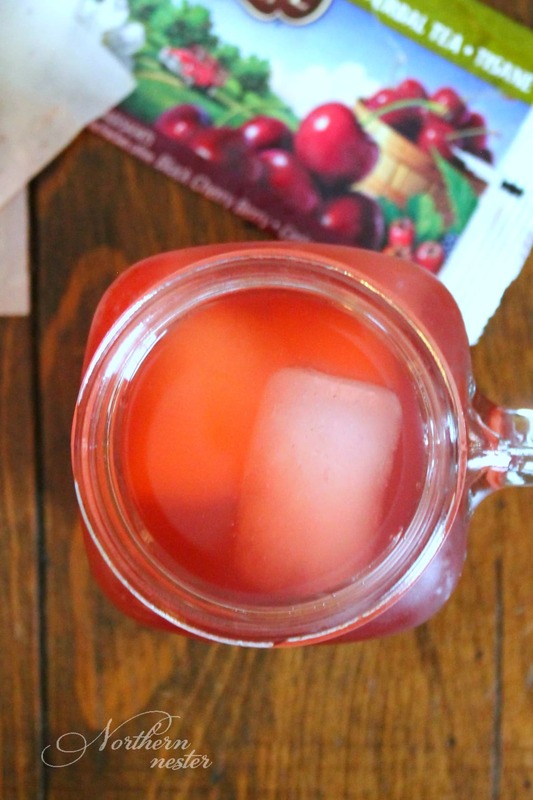 Make yourself some of this Black Cherry Limeade GGMS and see what I mean! First, you’ll need to get your hands on some Black Cherry flavored tea. I used two Celestial Seasonings Black Cherry Berry tea bags to make my pitcher full. Put 2 tea bags in a 1 quart Mason jar and pour in “off the boil” water until jar is full. Seal the lid and allow tea to cool to room temperature before placing in the fridge (do not remove teas bags). Refrigerate the tea until cold. Once your tea has cooled completely in the fridge, remove and discard the tea bags and pour it into a large pitcher. Add 4 cups of cold or carbonated water to the pitcher, along with 1/4 lime juice (I “cheat” and used pre-bottled Santa Cruz lime juice made with pure limes), 1/4 cup of apple cider vinegar “with the mother,” 1 tsp of liquid stevia extract, and a pinch of mineral salt. Stir, and serve over ice! Now you’ve got a sugar-free alternative to juice that will actually help your digestion, clear your skin, boost your metabolism, and lower your bad cholesterol! Enjoy this drink all day long with no guilt: it’s a Trim Healthy Mama-friendly sipper. Are you missing juice? This Black Cherry Limeade GGMS is your healthy alternative! 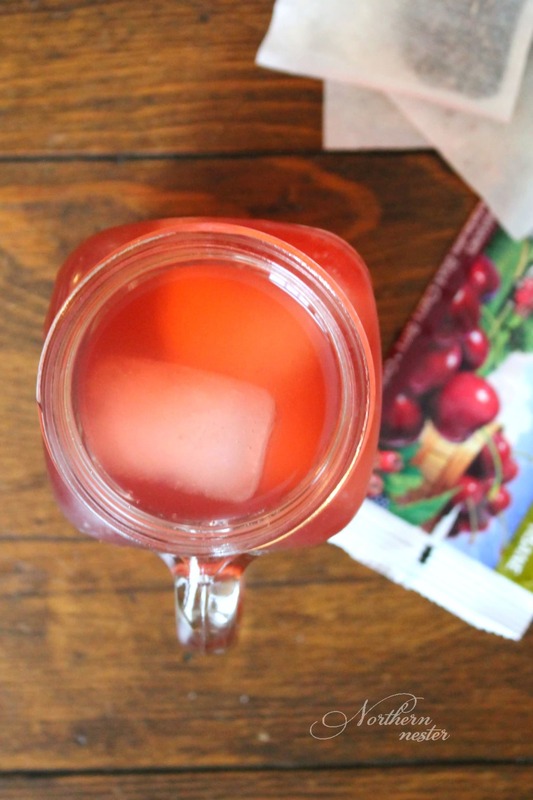 A Trim Healthy Mama-friendly sipper that can be enjoyed all day long. Put 2 tea bags in a 1 quart Mason jar and pour in 4 cups "off the boil" water until jar is full. Seal the lid and allow tea to cool to room temperature before placing in the fridge (do not remove teas bags). Refrigerate the tea until cold. Once your tea has cooled completely in the fridge, remove and discard the tea bags and pour it into a large pitcher. Add 4 cups of cold or carbonated water to the pitcher, along with lime juice, apple cider vinegar, liquid stevia extract, and a pinch of mineral salt. Stir, and serve over ice. "Own" this drink by tweaking it to your own liking! Use more or less of any ingredient and swap out regular water for carbonated water if you prefer a fizzy drink! Hi Jacinda, I’m not sure why it’s not working… I have tried sign up a few times to receive email updates. I thought maybe it had ended up in my trash bin but it’s not in there either. Would you be able to add me to your list? You’re right! My email updates are not going out. 🙁 One of my projects is to get that fixed! I will try and get to it asap, and hopefully you’ll start receiving them again soon. Thank you for your patience! Thanks Jacinda! I got around it by checking the box at the bottom of the comments section. It worked!! I have stevia packets, can I used them and how many, instead of stevia extract? This was absolutely delicious! I used monk fruit as I’ve been experimenting with it and it worked beautifully. Thank-you for this! Thank-you also for your Swiss Chalet dip recipe. It was requested from our second youngest as part of his birthday supper it was such a hit the first time I made it. You have a gift of creativity, Jacinda! The Lord has blessed you with a lovely talent, which has blessed many, many families. My local grocer didn’t have the CS Black Cherry Berry but they did have CS Wild Berry Zinger, which I used instead. It came out great. Will definitely make again! Thanks for sharing! Love this concept! I have mango tea and just bought some La Croix Mango which could pair with Lemon juice I think. Keep on inspiring us lady! 2. How well would this freeze? I regularly freeze large bottles of water and carry them with so I have something cold to sip on on hot days. I’ve wondered if I can do that with other drinks, too.